People who knew suspected Broward County school shooter Nikolas Cruz said the warning signs were there for quite some time before Wednesday's massacre. Cruz and his brother were adopted when they were babies but both of their adopted parents later died. Their father died when they were young, while their mother passed away a few months ago. Neighbors said Cruz was a loner and had social issues. They say his mother struggled trying to help him through his problems. 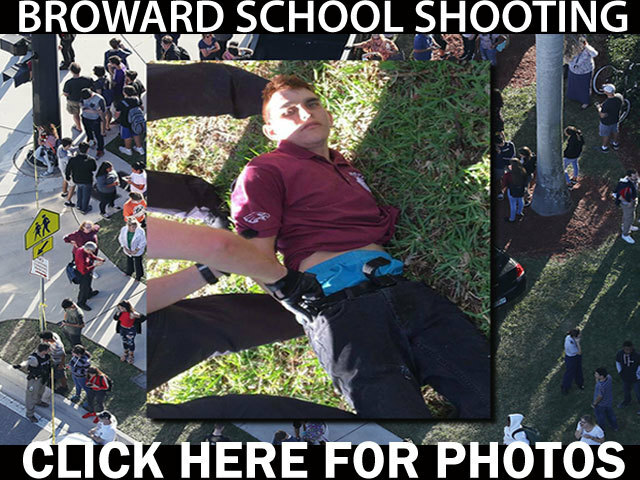 Authorities said he was expelled from Marjory Stoneman Douglas High School last year. WPTV talked to a senior at the high school who saw Cruz open fire on classmates. Gabrielle Pupo said she also knew Cruz in middle school and his erratic behavior concerned her years ago. "He was in my class in seventh grade, and I knew he wasn't OK when he punched the window in and said, ‘I'm gonna cause karma someday,’ because he got in trouble with the teacher," said Pupo. It's unclear where Cruz was living before Wednesday’s shooting that took the lives of 17 people at Marjory Stoneman Douglas High School. Investigators have not released a motive in the shooting.